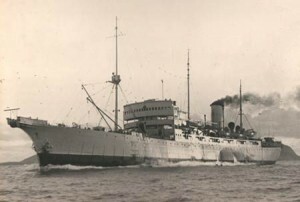 The HMTS Monarch, the largest cable laying ship in the world at the time, launches from Clarenville, Newfoundland to begin laying TAT-1, the first Transatlantic telephone cable. TAT-1 would be inaugurated 15 months later on September 25, 1956. TAT-1 may be best known for carrying the famous “hot line” between the United States and the Soviet Union during the Cold War.